Quince paste blends well with cheese, especially with sheep or blue cheeses. Quince is a fruit halfway between an apple and a pear. It is indigestible, but once cooked, it is soft and very sweet. Its taste is similar to that of applesauce with honey. 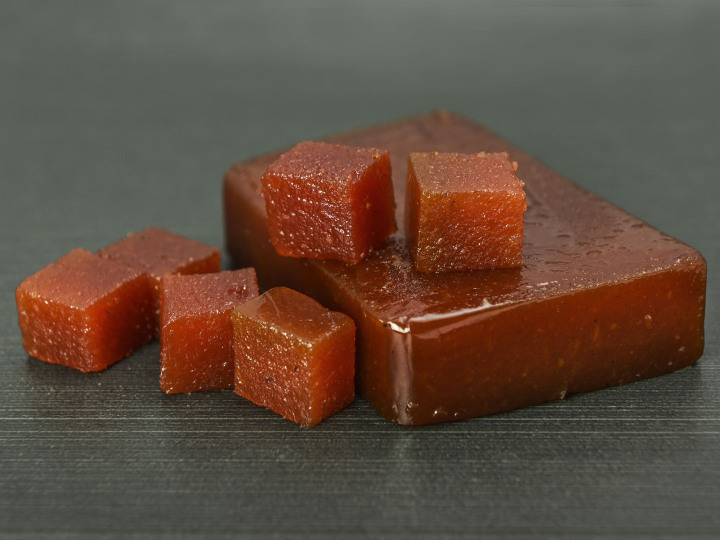 Quince paste is obtained by baking in sugar. These are the only two ingredients. As the quince is a fruit rich in pectin, the paste becomes very compact without any additives.